Water treatment plants cover only six percent of the population and most sewage plants are outdated and poorly functioning. Many public buildings are in disrepair or were damaged during the war. Iraq’s transportation infrastructure (roads, airports, and train system) are in dire need of repair and modernization. Iraq’s six ports need to be upgraded in order to handle modern shipping methods and high expected volumes. 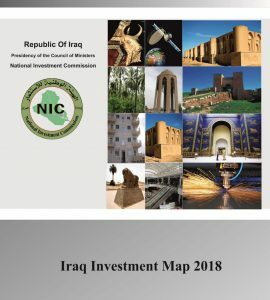 The GoI has earmarked over $16B USD for reconstruction in its 2009 budget, and the government can also avail itself of more than $100B USD in funds from international donors, including the Development Fund for Iraq, U.S. appropriations, and funds pledged at the Madrid donor conference. Additionally, the provinces are increasingly financing infrastructure and housing projects. Even so, the Iraqi government is aware that public financing will not be enough. Private capital and expertise will be needed to build and sustain the huge infrastructure investment needed. In housing, for example, the government expects that up to 85% of home building will be carried out by the private sector. The government is also strengthening the legal regime to support real estate development. Investment Law No. 13 (2006) permits distribution of land by either providing it as an incentive for investment in development projects or as long-term leases of up to 50 years. 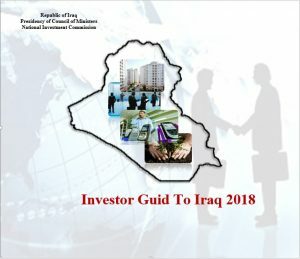 This is being reinforced by new legislation before the Iraqi Parliament which, when approved, will refine the procedures for land distribution for qualifying investments, enabling more efficient project planning to be undertaken.